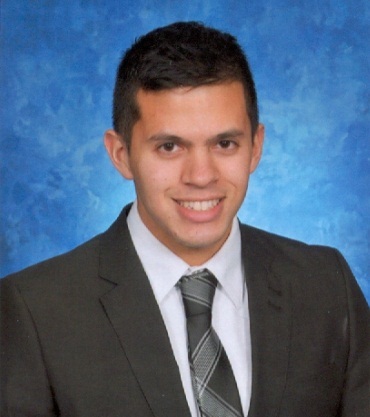 Guest Blogger: Cory Villanueva, Pharm.D. Candidate 2013, under the mentorship of Dr. Jeffrey Fudin. . Guest posts by Resident and Intern Pharmacists are reviewed, edited, and approved for accuracy by Dr. Jeffrey Fudin prior to posting. 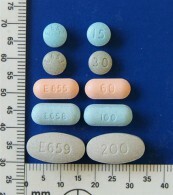 Image: “Morphine – Endo Family Portrait”. 4andsic. February 24, 2011. Opioid serum levels can be very helpful in guiding treatment for patients with chronic pain, but there are several questions to consider when interpreting these levels. This discussion addresses firstly the question “What is the difference between serum free and serum total morphine?” We then define the correlation between morphine dose and serum free morphine level. Serum free morphine may be ordered outside a clinic’s facility to its contracted labs. However, to be confident in the levels we obtain, the second question we assess is “How is a serum free morphine level obtained?” We will explain what lab procedure is used for serum free morphine and what steps are involved in obtaining serum free morphine. The last question we address is “Can metabolism of morphine differ amongst patients?” Herein, we review recent research on the influence of genetic polymorphisms of specific enzymes upon the metabolism of morphine. Morphine is metabolized primarily into two metabolites: major metabolite morphine-3-glucuronide (M3G) and minor metabolite morphine-6-glucuronide (M6G) (see Section III for further explanation of the metabolism of morphine). Essentially, “total morphine” is the sum of “free morphine” and morphine released after hydrolysis of M3G and M6G. “Total morphine” technically includes several additional metabolites which are present in very small quantities after metabolism: morphine-2,6-diglucuronide, morphine-3-etheral sulfate, normorphine, and normorphine-6-glucuronide. Indeed, because of neglecting these metabolites, we can understand that “total morphine” is already somewhat incomplete. The percentage of morphine that is metabolized into M3G and M6G can vary within approximate ranges and the extent of glucuronidation that forms these metabolites can differ amongst patients. Further, using hydrolysis of M3G and M6G to then calculate total morphine adds additional uncertainty to the analysis of total morphine. More recently, specific measurements of M3G, M6G, and free morphine are used to determine total morphine. Total morphine is primarily relevant in analysis of free morphine: total morphine ratios for post-mortem cases. These cases may involve heroin morphine, or opium overdoses, codeine or the determination of whether or not morphine was the cause of death. M3G concentrations have been shown to exceed free morphine within two hours after a dose is taken; accordingly, if free morphine constitutes most of the total morphine in a patient’s plasma (high free morphine: total morphine ratio), then it is more likely that the death was acute and the patient did not have time to metabolize the medication. Enzyme-Linked Immunosorbent Assay (ELISA) can provide a preliminary analytical result, but a more specific chemical process such as GC/MS must be performed to confirm the result and to allow us to quantify the morphine level.6 Morphine is extracted from serum by solid-phase chromatography. Morphine , M3G, and M6G may be extracted from the same column, but because they differ in polarity different elution solvents may be necessary. Hydrolysis of M3G and M6G may be done with heat and acidic conditions or done with β-glucoronidase enzyme. Mass spectrometric analysis is very sensitive to morphine and other opiates in biological fluids. High Performance Liquid Chromatography (HPLC) avoids problems of complexity that are encountered with preparing samples for GLC methods. Detection of morphine and its conjugates by UV or visible spectrophotometry may be vulnerable to interference; for low sensitivity levels, flurorescence and electrochemical detection is preferable. Some methods simultaneously determine morphine and M3G and M6G using fluorescence detection or a combination of fluorescence and electrochemical detectors in series. Various enzymes are involved in morphine metabolism, transport, and penetration through the blood brain barrier (BBB). Genetic polymorphisms of these enzymes may account for the differences in morphine metabolism as well as analgesic response amongst different patients. We continue our discussion below in focusing upon specific steps in the metabolism of morphine which may be affected by these polymorphisms. UGT2B7 variants may alter drug metabolism and therefore disease risk.7 Researchers have found that a common UGT2B7 haplotype (made up of ten single-nucleotide polymorphisms) increases enzyme activity and may be the reason why drug metabolism may differ amongst UGT2B7 substrates. UGT2B7 glucuronidates the 3-OH phenolic group to form major metabolite morphine-3-glucuronide (M3G) and glucoronidates the 6-OH alcoholic group to form minor metabolite morphine-6-glucuronide (M6G) at a ratio of 5:1 for M3G:M6G.7 Only small amounts of the following metabolites are produced: morphine-2,6-diglucuronide, morphine-3-etheral sulfate, normorphine, and normorphine-6-glucuronide. 44-55% of a morphine dose is converted to M3G, 9-10% to M6G, 4% excreted as normorphine and its glucuronide metabolites, 8-10% is excreted in urine unchanged, and the remainder is excreted through feces, perspiration or is formed into the other minor metabolites.7 M3G does not help with analgesia but may actually antagonize the effects of morphine and cause myoclonus / seizure as well as allodynia (pain due to a stimulus that usually does not cause pain). After oral administration of morphine, the plasma AUC (Area Under the concentration-time Curve) ratio for M6G:morphine is 9:1 and for M3G:morphine is 50:1.7 Most analgesia is due to the M6G metabolite rather than from parent morphine. Studies in rats, however, have found that M6G is 7.5 times less permeable through the BBB relative to morphine.5 The theory that is particularly relevant to a discussion of genetic polymorphisms is that efflux transporter P-glycoprotein (ATP-binding cassette, subfamily B, member 1 (ABCB1)) pumps morphine out the central nervous system and has a significant influence on penetration of the BBB.7 Polymorphisms of ABCB1 have realized varied analgesic responses in cancer patients. Serum free morphine levels are part of a larger picture in which medication dosing, lab procedure validity, and theory of drug metabolism are considered. Knowing how to interpret these levels can improve the safety and efficacy of the treatment we provide. Moreover, a working knowledge of therapeutics, the tolerance level of a patient antemortem are very important when making a determination of death postmortem. managed care and psychiatric pharmacy. I am charged with driving while intoxicated. I have been treated for cronic pain for many years. I am told that I had 41ng ml of morphine in my blood. Is this considered intoxicating. 41ng/mL equates to about 100mg of oral morphine per day in divided doses. If you take this medication regularly and have a prescription, and are tolerant to opioids, depending on the state, there is a weak case against you unless there were other drugs and/or alcohol involved. Hello, I just received my friends post mortem toxicology report. He had an alcohol level of .249 and the morphine level was .85. Since he wasn’t prescribed any morphine drugs, I am guessing he purchased something like oxycontin from his ‘friends’. Could you tell me if this was a lethal combination (or could he have died of other factors). Also, the morphine level of .85. How would that translate to street pills like oxycontin? Thank you for your article. I think this is the only place I can get these answers as the coroner did not know what .85 meant. This cannot be answered without the actual report. Hi – Is it possible for you to tell me what .85 means? Thank you. Could be mcg/ml, ng/mL, ng/L, etc. Could be congregated morphine or free morphine, and depends on where the blood came from (femoral artery, heart, vitreous fluid etc.). Asyou can see, there are too many variables to give you a quick simple answer. My beloved mother in law, Marjorie, passed away at 1 pm today. She had been given multiple doses of morphine for pain in the ICU. Are levels routinely monitored in the hospital? What is the turn around time? Does the patient’s family have to insist that the levels be monitored? Can the genetic differences in metabolism be screened in advance if morphine is likely to be needed? She was incoherent and delirious-how can I be sure this was monitored by hospital staff appropriately? my son died of acute morphine intoxication morphine was elevated at 163 what does this mean? are 490 ng/ml free and 1600 ng/ml total, and the deceased had no opiate addiction (therefore no tolerance issues), are these levels considered toxic or lethal? Autopsy results show no issues with iiver and kidney function. Zee, There are many factors to be considered to answer this question. It generally means the patient is taking 120mg of morphine orally per day. This is a quite technical, but very well-developed and important article. Well-done, Cory. Morphine has been in use for so long that most practitioners, and probably plenty of pharmacists, do not appeciate the complexities and individual patient differences regarding its metabolism and effects. More good reasons why setting dosing limits, especially those based on so-called morphine-equivalent dosing, does not make good sense — medically or pharmacologically. Dr. Leavitt, thank you for the great feedback! It was certainly fascinating to review the literature on the complexities of morphine metabolism. I agree that it makes a timely argument against dosing limits that ought to help us advocate for patients with chronic pain. This is a nice review. In addition to the mechanisms you mention above there are genetic differences in Mu opioid receptors (mutation A118 G)that can also account for differences in the pain control derived from morphine. In one study, patients with this mutation at the Mu receptor required 3 times the morphine dose than those without the mutation to receive the same pain control. In addition, it appears that this mutation at the Mu receptor may be involved in promoting cancer growth and progression (animal studies). Thank you for your feedback and your insight. Your thoughts on the genetic difference in the mu receptor are very interesting. These ideas may eventually support a model of personalized medicine in which we can better anticipate the patient’s responsiveness to morphine or propensity to adverse effects.